Take a stroll through Austin’s downtown shopping and dining destination, the 2ND Street District, to see the festive displays featured in this year’s annual Holiday Window Walk. Storefronts are transforming into exciting holiday scenes designed by students of St. Edward’s University. Not only do these talented students compete for bragging rights about the favorite window display, but they also have the chance to win $6,500 worth of scholarships from the 2nd Street District. The winner will be announced on Saturday, Dec. 8 during the fun, free Santa Lounge and Market event that’s open to all to enjoy! During this year’s Santa Lounge, the jolly old elf is making a stop at this party inside W Austin that will feature music from KP and the Boom Boom and pop-up shops from Sikara & Co., ESPEROS, Austin General Store, Luxe Apothetique, ModCloth, Nina Berenato Jewelry, Sara Reichardt Designs, and Tina Reddy Jewelry. This event takes place on Dec. 8 from 1-5 p.m. with free admission (the first 50 guests will also get free drink tickets), and the Holiday Window Walk winner will be announced at 4 p.m.
Browse the Holiday Window Walk! Photo from the 2ND Street District Facebook page. Where to View the Holiday Window Walk? Windows are on display through December 9. Participating stores include: Hemline Austin, League of Rebels, Austin Rocks Texas, Toy Joy, Authentic Smiles Dental Studio, Austin General Store and Luxe Apothetique. 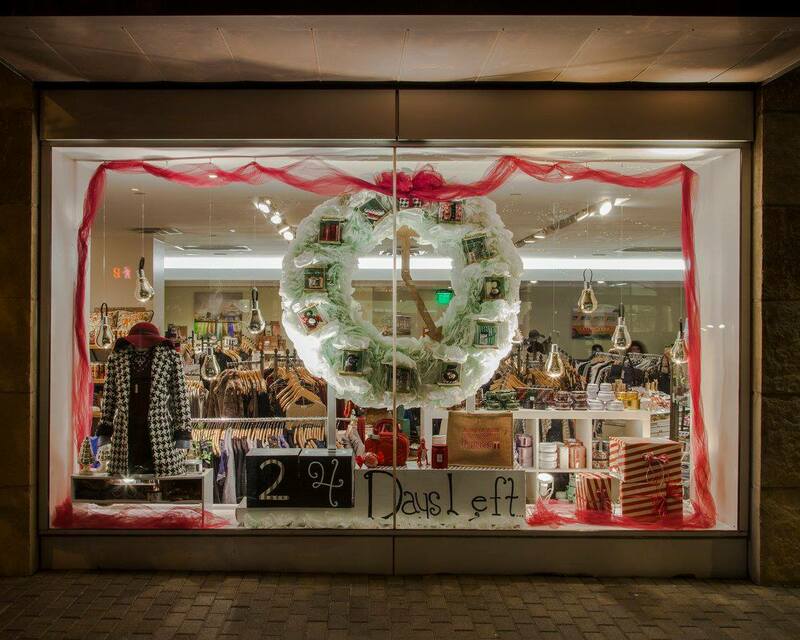 Be sure to vote for your favorite window display on the 2ND Street District’s Facebook page. For more info about the Holiday Window Walk and the Santa Lounge and Market, please visit the 2ND Street District website.